ACM understands your need for additional information. What are the technical requirements for SafeGuard Sentinel? Safeguard Sentinel is web browser based, which means it is installed on a central server and accessed via a link on your desktop, laptop, tablet, or smartphone. How is SafeGuard Sentinel different from my safety system? SafeGuard Sentinel is a layer above control and safety systems, monitoring the individual components to see how risk is interacting at a high level. This lets you know how much risk you’re exposed to overall, rather than at an individual instrument level. Where does SafeGuard Sentinel get hazard information from? SafeGuard Sentinel uses your existing Process Hazard Analysis (PHA) and Layer of Protection Analysis (LOPA) data to generate a risk model which is then connected to real-time systems. How does SafeGuard Sentinel monitor safeguards? SafeGuard Sentinel connects to control systems, safety instrumented systems, maintenance systems, operator logbooks, and alarm management systems to ensure that risk is calculated as accurately as possible. 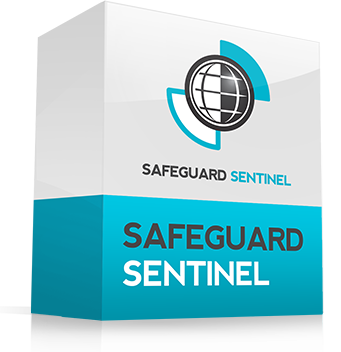 SafeGuard Sentinel is primarily a operational software solution with management reporting. Operators can access risk information and make real-time decisions which can then be reported with KPIs. How does SafeGuard Sentinel determine what state information to use to determine whether or not a safeguard is reliable? Tags, alarms, and other information which can be used to determine safeguard status is calibrated manually before installation, or by system administrators who can change how control points map to safeguards. What information does Safeguard Sentinel gather and identify from existing SIS, AMS, or control systems? SafeGuard Sentinel connects through OPC to look for information which can be used to determine whether or not a particular safeguard can be relied upon in a hazardous event. This includes bypasses, suppressions, diagnostics, and maintenance dates, testing dates, and even procedural information. Are contingency plans set ahead of time, or can they be changed on the fly? SafeGuard Sentinel can be loaded with default contingency plans, but depending on the settings chosen during installation (or changed by a system administrator), contingency plans can be updated by the users as they see fit. Contact ACM directly and we will be happy to provide the answers to any remaining questions.